Create a procedural text and turn it into an algorithm. 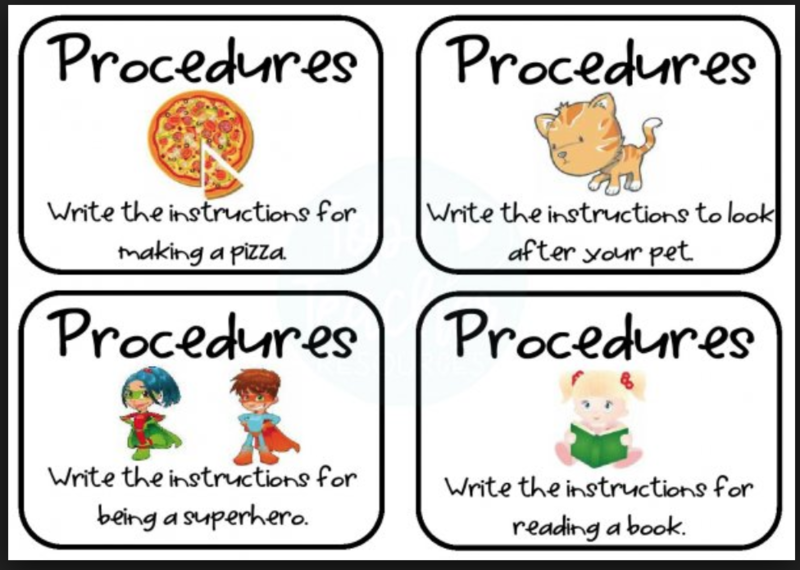 All of us will create a procedural text with a title and steps and create a simple algorithm. Most of us will create a procedural text using all headings and create an algorithm that has some branching. Some of us will create a procedural text using all headings and create an algorithm using the correct symbols. 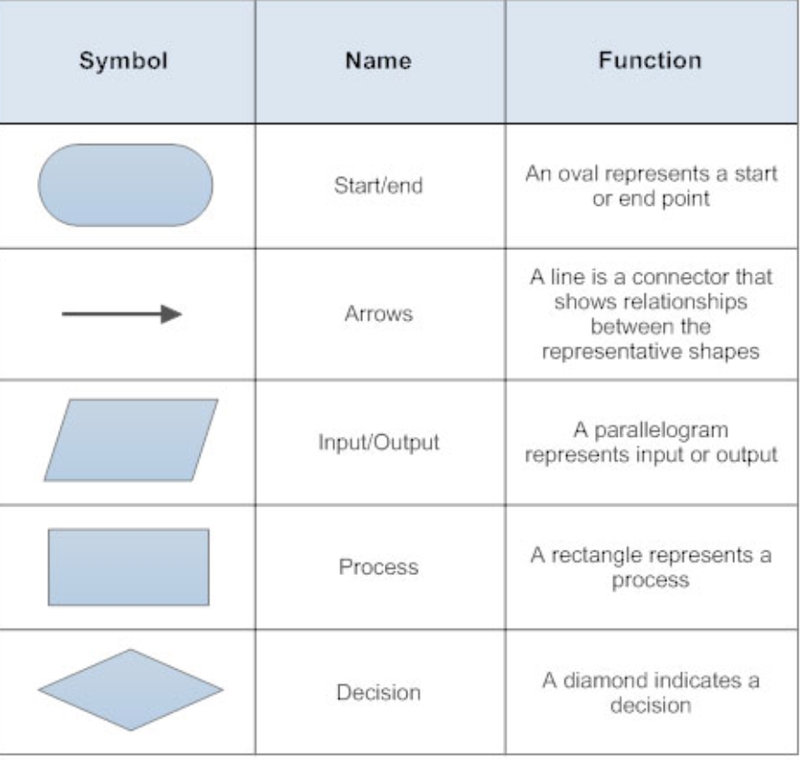 A flow chart is a type of diagram, made of boxes and arrows. It can be used to show: An algorithm, a step-by-step list of directions that need to be followed to solve a problem. 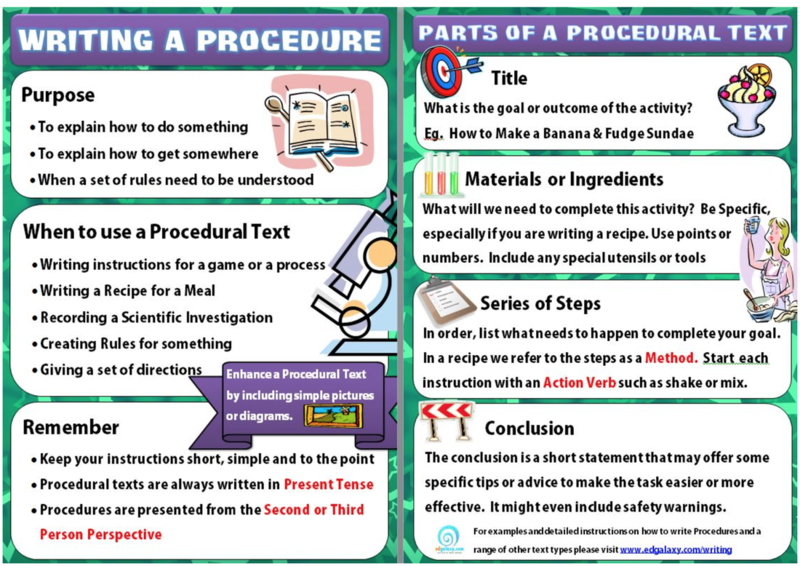 Create a procedure making something you have for breakfast. Eg: A cup of coffee. Create a flowchart to match your procedure. Write a procedure for something more complex. Think of your own idea or use the below. Create a flowchart to match your procedure. Remember the symbols you use are important.